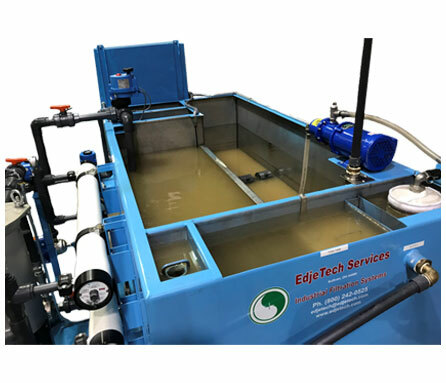 *EdjeTech Services defines a true synthetic metalworking fluid as a completely chemically designed fluid without any type of oil such as synthetic oil. **Sewer discharge regulations vary from state-to-state and we recommend testing. Contact us in regards to our services. Grinding and Machining – water extending cutting, grinding, drill and tapping fluids used in manufacturing operations. Steel and Tube Mills – rolling, forming, and drawing fluids used as coolants for ferrous and non-ferrous operations. Stamping Operations – water extended oil based and synthetic stamping fluids. 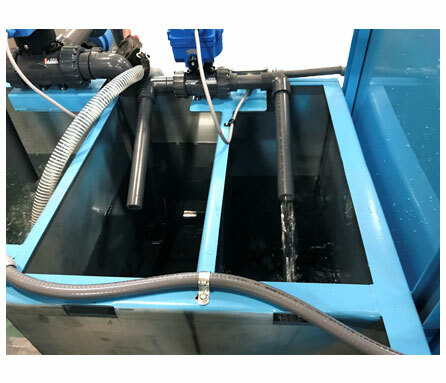 Industrial Parts Washer – clarifying acid and alkaline wash water solutions containing emulsified oils. Waste Water Collection – emulsified oily waste water collected from floor scrubbers, drain basins, and yard drainage. The EdjeTech S.W.A.T. 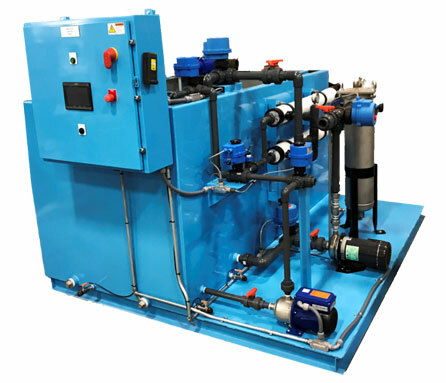 System is designed to help the Industrial Fluids Manager control his coolant filtration system and production wash water waste. The S.W.A.T. 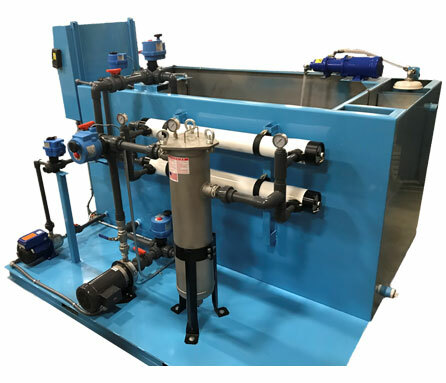 System is an economical ultra filtration system that will process waste coolants, wash waters, and other waste liquids to help meet ZERO discharge goals and comply with EPA and RCRA requirements. The S.W.A.T. Systems are designed to be operator friendly and not required highly trained technical personnel to operate or maintain. The operator need only put contaminated waste coolant, wash water or mop water in the system and allow the S.W.A.T. to do the rest. The EdjeTech S.W.A.T. System is a complete ultra filtration system. We incorporate our highly efficient tramp oil separation system, coolant recovery oil separation system, hollow fiber ultra filtration membranes, clean-in-place tank and automation to create an easy to operate and maintain system. The dirty fluid is processed through the tramp oil separator to remvoe suspended solids and free-floating oils. The clean fliud from the tramp oil separator is discharged into this tank. The tank will fill and overflow back into the dirty tank for continuous solids and oil removal. This tank is used to clean the ultra filtration membranes when they become dirty. EdjeTech recommends that the membranes be cleaned every 8 hours or before shutting the system down for more than 24 hours. 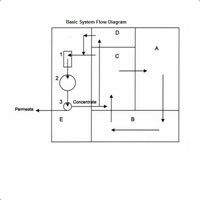 The U/F supply pump (1) pulls fluid from the process tank and discharges it through a prefilter (2) and the U/F membrane (3). The U/F membrane generates two fluid streams, the permeate and concentrate. The permeate stream is the clean fluid stream and is reused or sent to a post treatment module (for example carbon) and then to sewer. The concentrate stream returns to the process tank for further filtering. Eventually, the process tank will become so concentrated that the fluid will have to be removed from the tank and the process start all over.